If NASCAR's top drivers trust their cars to NAPA professionals, then so should you. We carry a complete line of quality NAPA auto parts to get the job done right - the first time. See us when you need an oil change, fluid level checked and topped off, battery service, headlamp replacement bulbs, belts, radiator hoses, air filters, tire maintenance, new windshield wiper blades, fluid exchanges, alignments, and tuneups. 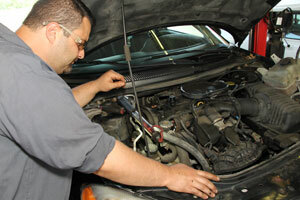 Call us at 216-289-9500 for an appointment for a vehicle "physical." 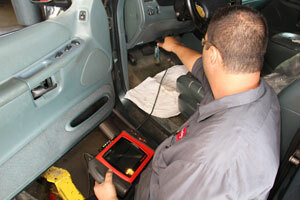 We'll conduct a complete, 20-point inspection of all of your car's systems. If any repairs are required, we'll provide you with a detailed estimate. 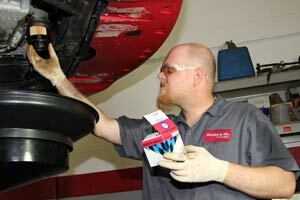 Visit confidenttireandcarcare.napaautotools.com to learn more about the TLC that goes into your vehicle. The ticking time bomb under your hood… Most manufacturers recommend timing belt replacement between 65,000 and 90,000 miles, (depending upon model), to avoid permanent engine failure. Call or stop by Confident Car Care to see if your vehicle is due for a replacement. Confident Car Care uses the latest OBD (On Board Diagnostics) equipment to diagnose and repair your vehicle. Brakes wear gradually and you might not notice they are beyond the safe threshold until it’s too late. It only takes a few minutes for our skilled technicians to check for wear. 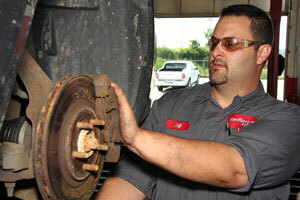 Stop in or call for an appointment for a brake safety check.